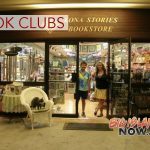 The “Thanksgiving Volcano Tour” promotion offers a chance to get back inside the recently reopened Hawai‘i Volcanoes National Park on Kīlauea volcano. Guests will hike throughout the Park including to the new cracks in the paved road out to Keanakakoi Crater, Kīlauea Visitor Center, Steaming Bluff, Volcano House and more. 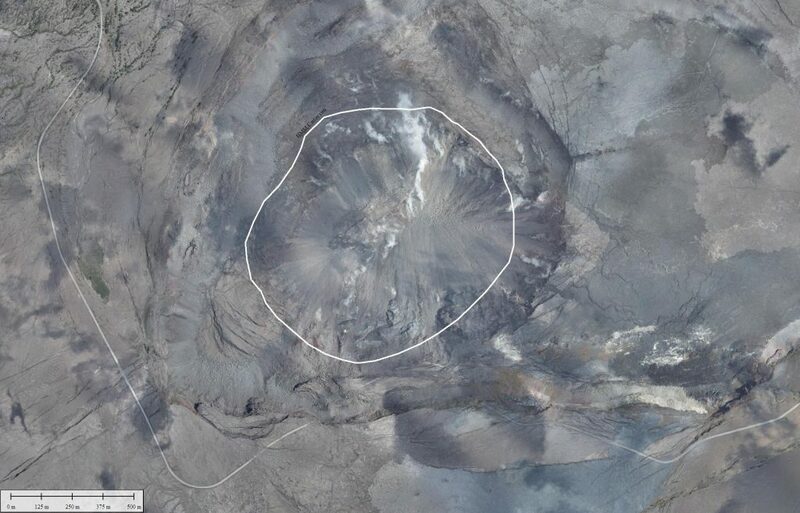 Expect to see a dramatically different Kīlauea Caldera that now showcases a new, massive 1,000+ foot deep crater that just recently held a lava lake. Thanksgiving dinner will be unlike any other with the special location of Volcano Winery. Typically only open for tastings, guests will receive a vineyard tour to learn about the shallow volcanic topsoil that provides a unique terrain and nutrient rich soil for the vineyard. After a wine tasting, a traditional dinner is served with turkey and ham, stuffing, roasted sweet potatoes, mashed potatoes, roasted vegetables, cranberry sauce, tossed salad and pumpkin pie. A glass of wine is also included, as well as coffee and tea. Available on Nov. 22, 2018. 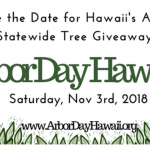 Price is $279 per person plus tax from Kona-Kohala Coast, and $239 per person plus tax from Hilo. Kona-Kohala Coast guests also visit a working 24-acre coffee farm with stunning views of Kealakekua Bay and the monument to Captain James Cook. 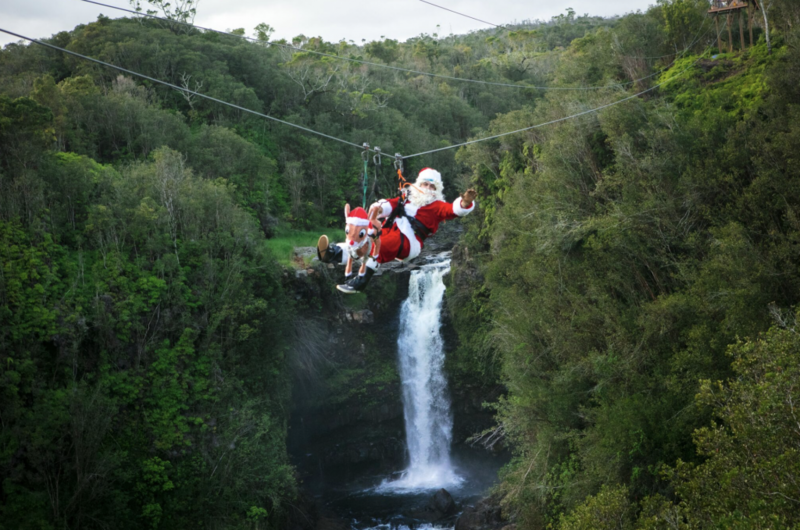 Join Santa and Mrs. Claus on Maunakea with the “Christmas in Paradise” promotion. 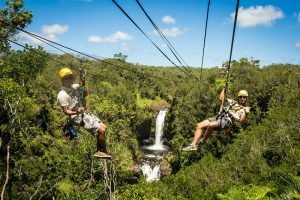 Following a walk through the enchanted Honoli‘i woods, guests will find a Hawai‘i wonderland as they climb a suspended ramp to zip through the sky on Line 7. 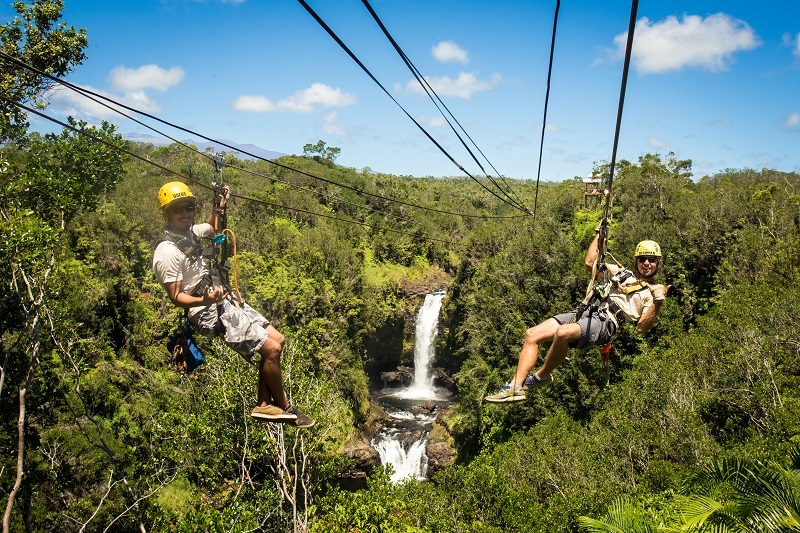 Zipline Through Paradise is the only Hawai‘i Island company to feature side-by-side ziplining for every line. A nearly one-half mile follows on Line 8, with views of waterfalls and gorgeous ravines. A short van ride along Honoli‘i river gorge brings everyone to a pavilion overlooking an 80-foot double waterfall. Guests will enjoy a Christmas barbecue dinner served by Mrs. Claus and Santa’s elves complete with champagne and beer, while watching Santa and Rudolph zip across the waterfall to greet them and take pictures. Available for brunch and dinner, Dec. 15-16, 2018. Price is $99 per person plus tax and $69 per person plus tax ages 5-12. Must be minimum of five years old and 35 lbs. Subject to availability. For reservations, call KapohoKine Adventures at (808)964-1000.